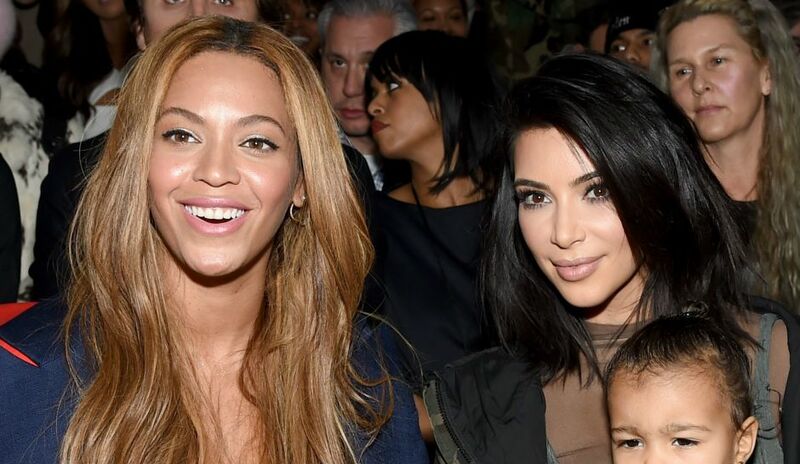 Kim Kardashian and Beyoncé aren’t going to let a little he said, he said between their famous rapper husbands ruin their fun…or at least publicly, it seems. TMZ sources are reporting that Kardashian and Beyoncé were completely couth at tennis star Serena Williams’ wedding on Thursday night, as there were hellos, hugging and even sharing of pics of their kids in the VIP area setup to avoid paparazzi hanging around outside. It’s well known now that Jay-Z and Kanye West haven’t been exactly cordial and/or on speaking terms for a long time – at least since Kanye went after Bey back in 2016 at a concert in Sacrament. Then there was a lawsuit filed by West, claiming that Jay-Z’s Tidal owes him just north of $3 million. Before the comments and lawsuits, Jay-Z and West were once the closest of friends, but according to TMZ, the same cannot be said for Kim and Beyoncé, who are reportedly not friends. Even more, TMZ says Bey has never really liked Kardashian, while there was apparently no grudge being held on the reality star’s side. Still, the two keep it classy around each other at events filled with fellow celebrities like this one, and it would be unwise not to keep it friendly, as the pair now share a lot of mutual acquaintances, and running into each other is practically impossible to avoid with their lavish lifestyles. So while Kanye and Jay keep the battle going – and not a rap one at that – the ladies seem to continue to keep it dignified.